To clear the extra rush during summer season, Southern Railway will operate special trains between Chennai and Coimbatore in April, May and June. 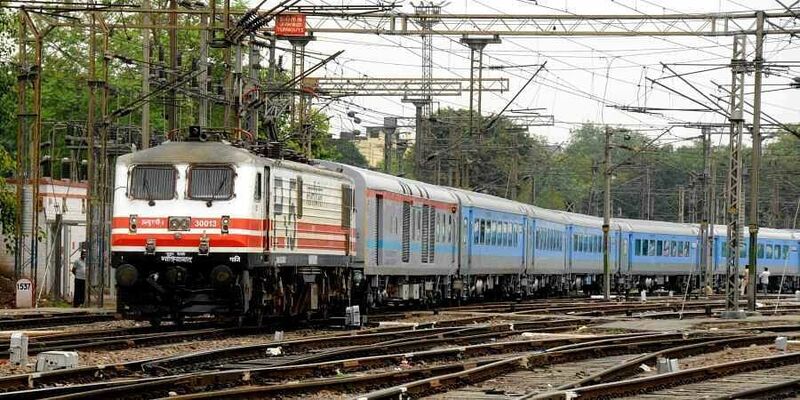 CHENNAI: To clear the extra rush during summer season, Southern Railway will operate special trains between Chennai and Coimbatore in April, May and June. A release said the Chennai-Coimbatore weekly suvidha special will leave Puratchi Thalaivar Dr M G Ramachandran Central at 8.45 pm on April 19 and 26, May 03, 10, 17, 24 and 31 and June 7, 14, 21 and 28 and reach Coimbatore at 4.20 am the next day. Similarly, Coimbatore-Chennai weekly special fare special train will leave Coimbatore at 9.45 pm on April 20 and 27, May 4, 11, 18 and 25 June 1, 8 , 15, 22 and 29 and reach here at 5.30 am the next day. The trains will stop at Salem, Erode and Tirupur. Meanwhile, Chennai-Coimbatore bi-weekly special fare special train will leave Puratchi Thalaivar Dr M G Ramachandran Central at 10.30 pm on April 16 , 21 , 23, 28 and 30, May 5 ,7, 12, 14, 19, 21, 26 and 28 and June 2 , 4, 9, 11, 16, 18 , 23, 25 and 30 and reach Coimbatore at 6.50 am the next day. Similarly, in the return direction the train will leave Coimbatore at 11.30 pm on April 17, 22 , 24 and 29, May 1, 6, 8, 13, 15, 20, 22, 27 and 29, June 3, 5, 10, 12, 17, 19, 24 and 26 and July 1 and reach at 7.20 am the next day. The trains will stop at Salem, Erode and Tirupur. Advance reservation for all the trains is open, the release said. is it because BJP is contesting at Coimbatore ? It's nice to know. But why isn't there a daily special night train from Coimbatore to South Tamil Nadu via Pollachi and Madurai? Southern Railway should immediately commence these services for this summer.